Established in 1986, Poe Lang Enterprise, is one of the best bow manufacturer in Asia. 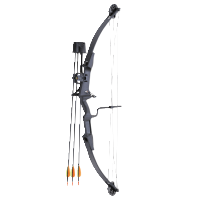 Our bows are the following: compound bow, light compound bow, recurve bow, youth recurve bow etc. Poe Lang has a great reputation based on the superior product research development expertise excellent quality and high-end compound bows. We are indeed the Taiwanese pioneer corporation in archery field. And we have a strong commitment for providing customers with the most competitive prices and fast delivery. We are constantly searching for ways to improve our products and customer service and welcome new challenges. We believe that our past professional experience in the industry enables us to be your most reliable associate. If you are interested in our bow manufacturer, please kindly contact us at any time.